6. Tap ON the feature: The mod will collect resources, meds and Level-up characters whenever the production cooldown is finished or the characters reach the conditions. 7. Speed up helps you speed the game up. Slide to adjust. 8. 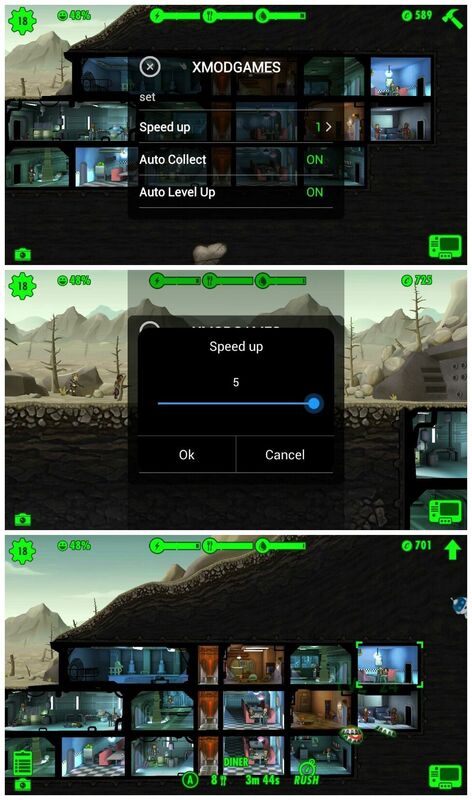 When turned ON, Caps obtained from Leveling up the residents and Rushing Mode will be multiplied. NOTE: It only modifies caps obtained from leveling up and rush mode.